Currently, even with 150,000 hunters in the woods, these methods produce less than 7% of Maine’s annual bear harvest. Bear hunting season runs from the beginning of September to the end of November, a full three months. By September, important bear foods such as raspberries, blackberries, and blueberries are already gone by for the year. Other naturally- occurring foods that may be available during the bear hunting season can include mast such as beechnuts and acorns; wild and cultivated apples; and cultivated crops such as corn, oats, barley, and broccoli. Many of these natural food sources are not widely available to either bears, or to hunters. Beechnut, acorn, and wild apple crops vary widely by year, and by location. Even when available, they are usually quickly depleted by bears, coyotes, foxes, raccoons, porcupines, deer, turkeys, partridge, squirrels, and small mammals. When the food is gone these sites are abandoned. Likewise, agricultural crops are not widely distributed, and they are not likely to be available throughout the 3-month bear season. In fact, most small grain crops are harvested by early September. Some bears are currently harvested over naturally-occurring foods. But these sites are far too limited to accommodate the additional bear hunters needed to manage bear populations. 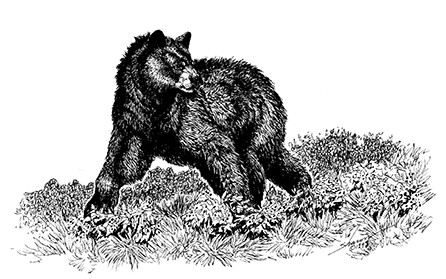 Hunting over naturally-occurring foods in Maine cannot replace the bear harvest lost if the use of bait, dogs, and traps are banned. Still-hunting is a specialized hunting strategy that involves moving slowly and quietly through the hunting area, in hopes of spotting a game animal before it detects you. Few hunters are really good at still-hunting. Pursuing bears by still-hunting can be particularly challenging. 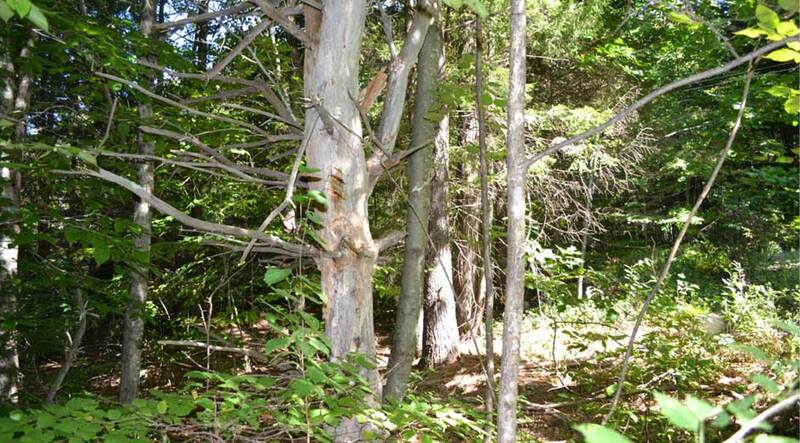 Not many hunters have ever seen a bear in the woods, often after spending several decades of hunting in Maine. Main is 90% forested, the most wooded of all the states, and our forests tend to be dense, with visibility often less than 50 yards. Hunters cannot shoot what they cannot see! Bears clearly have the advantage against still-hunters. Bears have extremely acute senses of smell, sight, and hearing. If you encounter one at all, chances are it saw or smelled you first, and silently padded away without your knowing it. Even if 10,000 or more additional hunters took to the woods to still-hunt bears, success rates would be far too low to compensate for the bear harvest lost if the use of bait, dogs, and traps are banned. Occasionally, Maine hunters blunder into a bear while in pursuit of other game. Some of that 7% of our bear harvest is currently taken opportunistically. Berries like these blueberries are one of the most important natural food crops for Maine bears. Unfortunately, these crops have gone by when bear hunting season opens. Can this method yield more bears? No. Some 30,000 moose hunters hunt in Maine’s bear range each year. They certainly carry the right hunting equipment to kill bears. However, encounters with bears are likely brief and fleeting, and moose hunters are focused on killing moose, not bears. In addition, any hunter desiring to kill a bear prior to November must be in possession of a bear permit. Most moose hunters do not currently even bother to purchase a bear permit, undoubtedly because of the very few bears seen while moose hunting. They are not likely to begin doing so. Many more thousands of Maine hunters travel to bear territory to hunt partridge (ruffed grouse) during October and November. They also very rarely see bears. And partridge hunters are not equipped with the right ammo to kill a bear. Birdshot is neither adequate nor legal for bear hunting. That leaves deer hunters. There are still tens of thousands of hunters pursuing deer during Maine’s November firearms season. However, deer hunting participation has declined since the deer population crashed in 2008 and 2009 in the northern half of Maine. Particularly absent are the non-residents, who happen to be rather keen on bagging a bear. It’s likely that a large share of that 7% of current bear harvests is taken by deer hunters during some years, but not during others. Another factor: When natural foods are scarce, Maine’s bears enter hibernation earlier than normal, sometimes even in late September. During some years, most of DIFW’s research bears are hibernating well before the November deer season, and hence are unavailable for harvest. The harvest of bears taken while deer hunting will not increase much, if at all, above current rates. The inescapable conclusion is that hunting over naturally- occurring bait, still-hunting, and incidental harvest of bears cannot begin to replace the bear harvest we currently achieve using bait, dogs, and traps. If Question 1 passes, overall bear harvests will drop precipitously, and will remain low. This chronic harvest deficit will inevitably lead to the aggressive growth of Maine’s bear population, with attendant serious problems. Typical dense Maine forest, and great bear habitat. Visibility is about 20 yards at most. Try sneaking quietly up on a bear in this cover. Bob Noonan photo.